Open doors to education to improve the quality of life in our global community. 3) to increase public awareness about global issues that affect us all; especially health care and education. 1) Provide educational assistance through continuing education to improve the competency of health care professionals. 2) Provide avenue and support for health care professionals to gain and share knowledge and experience. World Healthcare Educational Resources, Etc. is made up of health care professionals that have volunteer their time and energy to create educational materials and share their expertise with health care professionals who may not have access to continuing education. The effort is aimed at improving health care delivery around the world through the education of health care professionals. Terry Konn, PhD, RT is the founder and principal developer. She is a radiologic technologist with over 30 years of experience. She has taught radiologic technology content for over 26 years and public health and healthcare management at the graduate level for over 10 years. She has traveled to several developing nations, including Ghana, Rwanda and Haiti to assist in the development of educational programs, teach students and health care professionals and offer educational workshops. She has committed the last 8 years to this initiative. 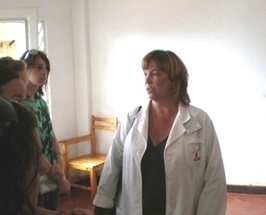 As a child and young adult, Dr. Konn was fortunate to travel to Mexico, Belize, Jamaica, and numerous poor communities and saw first hand the differences among people and decided then she wanted to pursue a helping profession. While a doctorate student, she traveled to several nations to learn about the different health care systems and to better understand delivery methods. She quickly realized that health care was not provided equally or at the same level of quality and become In 2007, Dr. Konn traveled to Ghana and Rwanda for an extended period of time and it became evident that health care professionals were unable to deliver health care services at the same level because they did not have similar resources and the tools to improve their skills. 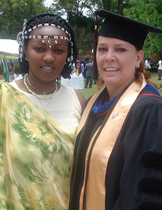 On a Fulbright Scholarship, Dr. Konn spent a year in Rwanda teaching and conducting research on student learning and educational methodologies. From this experience, Dr. Konn knew she needed to find a way to share important educational materials with those who do not have access to continuing education. The concept of the Global Healthcare Training Initiative was born. Desire Karangwa, MA is an environmental health and safety specialist. He works as an environmental health and safety manager for a large international electronic recycling company. Desire is responsible for managing environmental health and safety programs, environmental management system, auditing and ensuring compliance to legal and other requirements. Desire has experience in environmental health and safety, training and development, occupational safety, compliance audits and customer service.He teaches occupational health and safety topics. He has also worked in developing nations on water and waste management projects. Bianca Shumanov, BS, RT is a radiologic technologist with over 20 years clinical experience and 10 years teaching. Bianca traveled to Rwanda with Dr. Konn in 2008 and was inspired by the students and technologists strong desire to learn and keep learning. Bianca has been actively involved in fundrasing events and supporting the students needs. Nancy Haugh, BS, RT, RDMS is a radiographer and a medical sonographer with over 10 years experience as a clinician and 5 years as an educator. 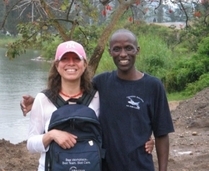 Nancy traveled to Rwanda with Dr. Konn in 2013.